RICHMOND, VA – With the Fitness Warriors program currently immersed in offering free fitness classes in communities around the Richmond region and a new class of Warrior recruits just starting their training journey, the program will take the opportunity to highlight community health success stories on January 26 at the annual Warrior Nation Celebration. The event will take place at the Robinson Theater in Church Hill at 5:00pm and will celebrate program achievements and community impact while also recognizing all program partners, participants, and host sites. 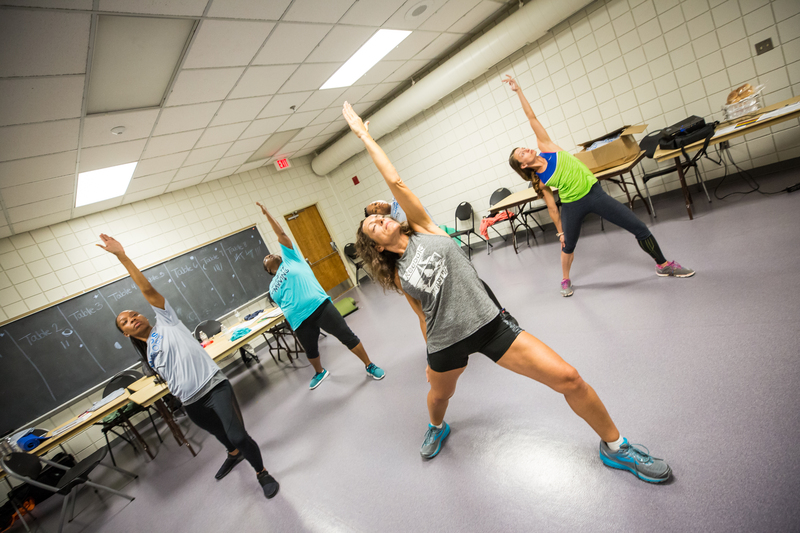 The Fitness Warriors program trains community leaders to become fitness instructors and offers free fitness classes throughout the Richmond region, with a particular focus on underserved areas facing the highest rates of chronic disease. Since its inception in 2014, the Fitness Warriors program has grown significantly in both size and geographic reach. There are now two classes of Warriors going through the program each year; the 6th Class graduated on December 1, 2018, with eight members, and the 7th Class, with eight members, kicked off their six-month training process on January 12. This allows the program to grow its impact by training more Warriors each year while maintaining a small group to receive the proper support and training to become effective fitness advocates. Each Recruit receives guidance from Warrior Captains, a select group of alumni who use their skills and experience to train future members. Regardless of which class they were a part of, each Warrior graduate is equipped with the skills to lead free fitness classes and help area residents get moving in a fun and welcoming environment. 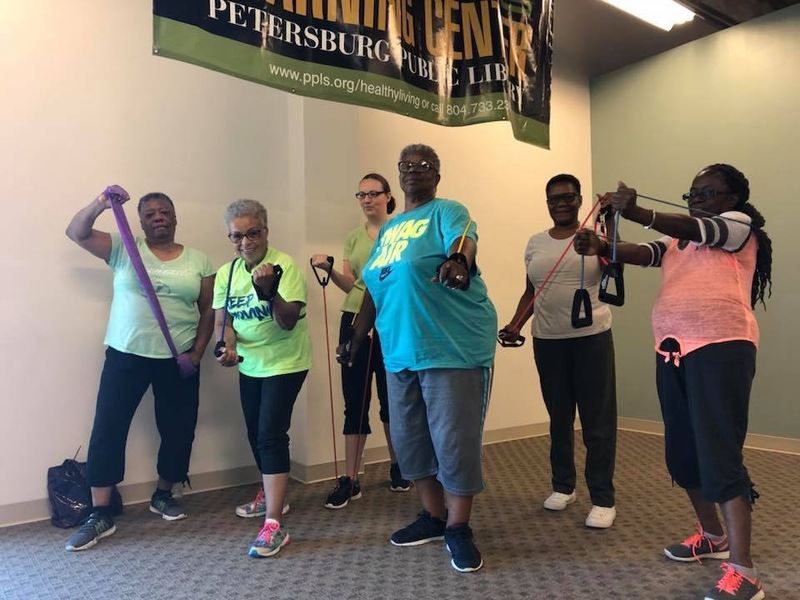 Warriors lead free weekly classes across the region, including locations in the cities of Richmond, Petersburg, and Hopewell, as well as the counties of Amelia, Chesterfield, Dinwiddie, Hanover, Henrico, and Nottoway. The program partners with more than 50 host sites to offer the free fitness classes, including churches, community centers, libraries, and low-income housing communities. The classes allow emerging fitness professionals to hone their skills while providing an essential resource to the communities they serve. According to data collected from July 2017- June 2018, 1,964 individuals came to a Fitness Warrior class for the first time. 88 percent of first-time participants self-identified as overweight or obese and 81 percent reported getting less than 150 minutes of physical activity per week, the CDC’s recommended minimum for chronic disease prevention. Many first-time participants became regulars, as evidenced by having a total number of 13,563 visits in 2018. In follow-up surveys, class participants reported weight loss, reduced need for medications, reduced stress, improved mood, improved ability to function in daily activities, as well as increased energy level, flexibility, strength, and cardiovascular endurance. The Fitness Warriors program is a partnership between Sports Backers, the Richmond City Health District, Fit-To-Go, and the American Council on Exercise (ACE), with generous support from the Anthem Foundation, Beirne Carter Foundation, Cameron Foundation, John Randolph Foundation, and the Virginia Department of Health. The Warriors and everyone associated with the program, including host-site partners, class participants, and program supporters, have come to be known as the Warrior Nation. The Warrior Nation Celebration will honor the impact that Warriors are collectively making on community health and fitness. Program administrators will recognize three special individuals by awarding the Raymond D. Patterson Award, the Outstanding Host Site Award, and the Class Participant Standout Award. In addition, superlatives will be given to Warriors who go above and beyond the program expectations, with select stories being highlighted during the program. The Fitness Warriors program continues to offer free classes on a regular basis, and a full schedule of the weekly classes can be found at www.sportsbackers.org/warriors-schedule. The Robinson Theater Community Arts Center is located at 2903 Q Street. Doors open at 5:00 pm and the program will run from 6:00pm-7:00pm, with a reception to follow.